While many visitors come for the beaches, arts celebrations and fiestas, San Sebastian-Donostia is serious about its food and drink. The Old Quarter’s narrow, twisting streets are full of bars and restaurants, and in the modern city, sidewalk cafes are all around, inviting you in to try their new specialty. Speaking of specialties, it is safe to say that San Sebastian restaurants have mastered seafood and are always finding new and inventive ways of serving the delicious and fresh fare. Just make sure you know not to expect dinner at 6 or 7 p.m.—that’s much too early in Spain. Instead, tide yourself over with tapas, and enjoy eating and drinking late into the night. A summer city by many rights, San Sebastian has a lot going on and strong cultural history to support their cultural traditions throughout the year, not just during the warm summer days. In the city’s excellent aquarium you will fear for your life as huge sharks bear down on you from within their clear tanks and will get mesmerized by fancy fluorescent jellyfish. The highlights of a visit are the cinema-screen-sized deep-ocean and coral-reef exhibits and the long tunnel, around which “monsters of the deep” and other sea life swim peacefully. The aquarium also contains a maritime museum section for the history-inclined visitors to the aquarium. If you do decide to visit, be sure to give yourselves at least 1.5hrs to work through the exhibits. Right in downtown San Sebastian is the Playa de la Concha, an arc-shaped beach that is a perfect example of a city beach. As you may have guessed, “concha” from the name of the beach translates into seashell. After spending a day reclining and sunning on the beach, there is a walkway called the Paseo de la Concha that leads you downtown. The Paseo de la Concha is situated several meters above the beach, and there is a beautiful white railing made of wrought iron, made of a beautiful design that has become a symbol of the city. The "Muralla del Puerto" (Port Wall) is what remains of the wall that encircled the city on three sides from the 16th century until it was mostly demolished in 1863. Here, in this remaining piece situated on the Monte Urgull side, you can still see a walled-up gate and several holes built into the wall to fire from, called gun ports. The present gateway, called Portaletas, was built and maintained during extensive renovations. The wall is very wide (almost two meters! ), and its top was partially cut off. Today it is used as a walkway between City Hall and the lower part of Mount Urgull. It is a great eagle’s eye spot in San Sebastian to look down over the quay and see what people are doing below. San Sebastian has a lot of great places where you can shop to your heart's content. Bretxa Market, close to the Old Quarter, is one such place to look out for. The stalls at the market offer huge variety of food items and local produce like fresh fruits and vegetables, mushrooms, cheese, honey, meats and much more. This would also be a great spot to buy souvenirs and handicrafts to take back home that represent your time spent in San Sebastian. Eat a meal at any of the famous and incredible restaurants in San Sebastian. It can be rather overwhelming to plan out where to eat in San Sebastian since it is one of the world's great cities for food. There are some restaurants around town however, that will never fail you. The area boasts restaurants raging from high-end gastronomic idea factories, like Mugaritz, and three-star Michelin landmarks, like Martín Berasategui. Then, there are family-owned kitchens with world-class wine lists, like Rekondo, and subterranean sleepers like Ibai. Then, of course, there are the pintxo bars, of which there are almost too many to recommend. Regardless of where you decide to eat your meal, you will never regret sitting down to dinner or lunch at a restaurant in San Sebastian. San Sebastian is located on the Spanish coast in Basque country near the French border and its weather is seasonal, without ever getting too hot or too cold, tempered by its coastal location. 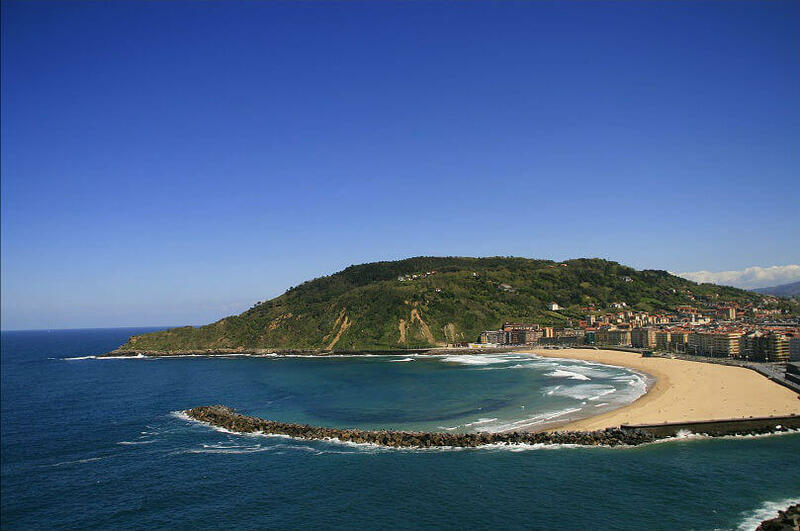 During the summer months the temperature in San Sebastian averages in the low 20's F and in the winter in the low 10's. Because it is on the water, the city tends to be quite foggy but precipitation amounts are low. Visitors come to the city at all times of year, but San Sebastian's tourism is highest during the warmer summer months when people can best enjoy its beautiful sea coast. Hotel and transportation prices may tend to be lower in the winter months, however. If you want to be in San Sebastian for festival season, then there is a week of celebrations throughout the Basque country for Semana Grande. Aste Nagusia is in the middle of August, with spectacular fireworks in San Sebastian and a Herri Kirolak strong man competition in Bilbao. Ready to pack your bags and head to San Sebastian, Spain? While your packing, think about getting travel insurance for international destinations and check out Cover-More’s options. Taking out the right worldwide travel insurance might save you thousands of dollars from emergency medical bills, the cost of a medical evacuation from a remote area—or any other unforeseen cost covered by travel insurance.